Honest Biscuits - Where do we get all these Super Ingredients? Where do we get all these Super Ingredients? If you have been following us, you know that Honest Biscuits is constantly adding different flavors based upon the seasons. We are often inspired by the farmers markets where we sell. Even during the winter, there are awesome fresh ingredients in the markets. People are a little sad when their favorite biscuit goes away, but you can look forward to biscuits coming back around throughout the year as the seasons change. We recently added a page to our website listing the sources for our ingredients to emphasize our support for farmers and other local food producers. It was a fun list to put together and made us proud to work with all of these great folks contributing to the great local food scene here in Seattle. Honest Biscuits is excited about two of our latest entries. 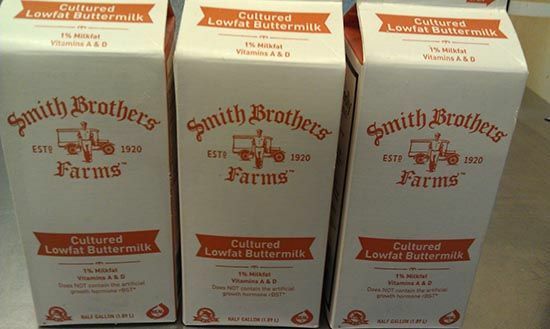 We have switched to Smith Brothers Dairy products for our biscuits. They are one of the most trusted local institutions, offering home delivery of milk products since 1920. 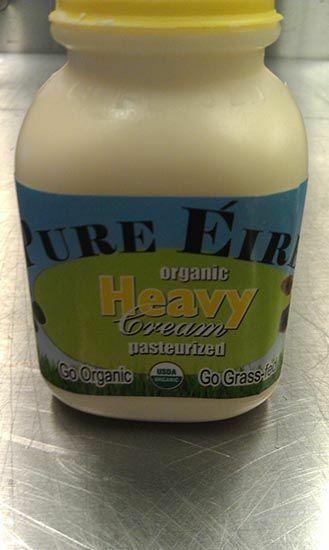 We are also excited to be working with the newer Pure Eire Dairy. Their organic milk and cream comes from all grass-fed local cows. 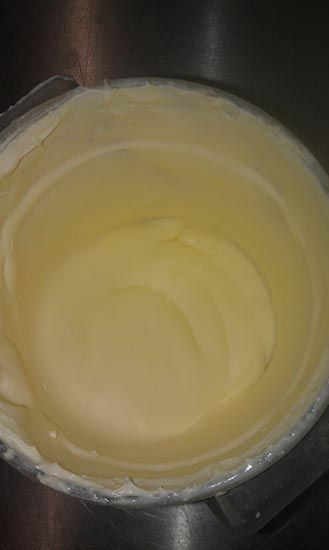 We take their incredible cream and make our own butter. You read that correctly. We make our own butter to bring you the freshest and best tasting biscuits we can. ... becomes this even awesome-r butter.